A mother quickly learns to recognize her baby's unique cries. There's the cry for when they're hungry, the cry for when they're uncomfortable—even one for when they're scared. 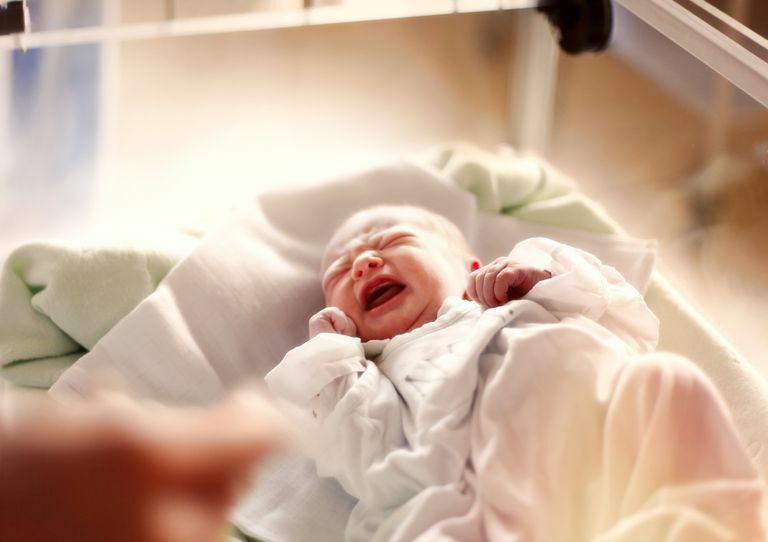 Within a few hours of becoming a parent, you learn to distinguish between a newborn's different cries, and it helps you to respond appropriately to take care of your baby. As it turns out, there is a reason mothers quickly learn to interpret a baby's individual cries—because mothers' brains adapt at a very basic level in response to their babies. There have been many interesting studies done on what happens in parents' brains when a baby cries. Although it may seem like a simple process—baby cries, mom responds—one study in the Journal of Neuroendocrinology explains there is actually an incredible amount of brain activity and corresponding systems that work to produce a response. A 2011 study explained that there are various areas of the brain involved when a baby cries. The study described the process of how a mother's brain is "switched on" by the sound of a baby crying. Researchers in the study surmised that the many different changes that happen in a mother's brain actually begin before birth, during pregnancy, and include a significant increase in the hormone dopamine, which helps prep her brain for parenthood. Aside from dopamine, the hormone oxytocin plays a huge role in regulating a mother's behavior in response to her baby's cry. First of all, when a baby is placed to the breast, it triggers oxytocin to flood her brain and promote bonding, empathy, and other "feel-good" hormones that help her establish a close connection to her baby. Many of the hormonal systems also help play a role in the "reward" system, essentially flooding a mother's brain with feel-good hormones in response to caring for her baby. It's nature's way of ensuring a mom enjoys taking care of her baby! The 2011 study also found that there may be some differences in hormone release and regulation among mothers. For example, mothers who gave birth vaginally actually demonstrated more brain responses to their baby's cry at 2-4 weeks postpartum than mothers who had given birth through a C-section. The study also found that mothers who were breastfeeding were more responsive on a brain level than mothers who were formula feeding; that's not to say that they were "better" mothers, but only that there were slight hormonal differences, perhaps necessary for milk production and regulation. A mother's brain also fine-tunes itself so that it only responds to her own baby's crying; that explains why a mother can learn her own baby's cry, but not every baby in the room. Can you imagine what would happen if all mothers everywhere processed the cries of all babies? It would definitely be sensory overload for their brains. Instead of letting that happen, a mother's brain automatically filters out the cries of other infants to be able to focus on her own. Other factors, such as if a mother has past stressors in her life, like trauma or mental illness, may cause some interference with hormonal regulation and brain activation. Even things like a mother who had many different caregivers as a child herself were correlated with less responsiveness with her own baby. A more recent 2017 study in the Proceedings of the National Academy of Sciences also confirmed that the changes that happen at a brain level in mothers are very real and that they happen to mothers all over the globe. The changes in a mother's brain that happen in response to a baby crying affect the parts of her brain that prompt her to move and speak, to process sounds, and to be a caregiver. Essentially, they help her do all the things necessary to take care of an infant. The changes in the brain were found to differ among women who had children as compared to those who did not have children. A baby's cry literally represents one of the very first ways that a mother learns about her baby. A baby's cry is a way to signal to its caregiver that it needs love and care. And because crying is the infant's only tool for survival, the human mother's brain has very specific responses and reactions to hearing her infant cry. Your baby might simply be letting you know that he or she is hungry, but at the brain level, there is a lot more going on than we may realize.